Discover territory that remains unaltered in the wilderness of the Central Florida Everglades. Our captains take you into the breathtaking beauty of nature, including wetlands and wildlife. See alligators, turtles, birds and more in their natural environment. 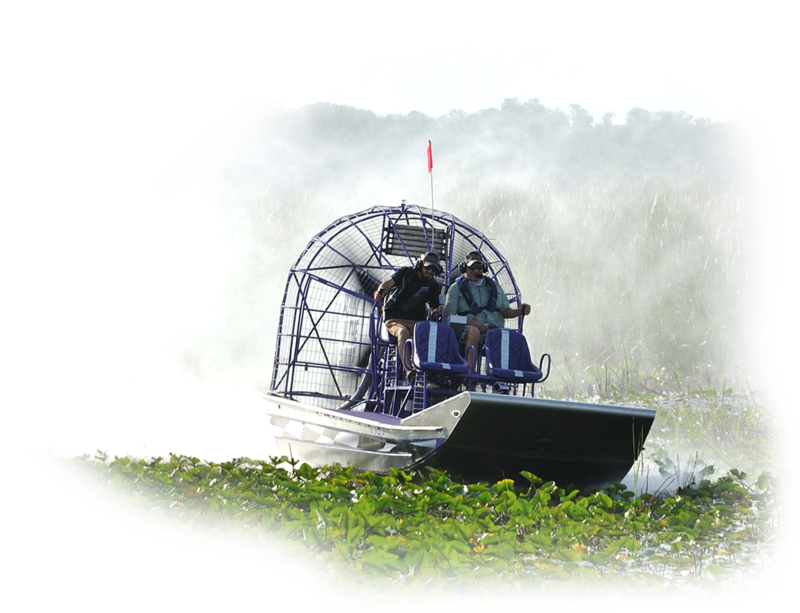 You’ll feel like you’re flying through the wetlands as you enjoy the best Everglades experience in Central Florida. 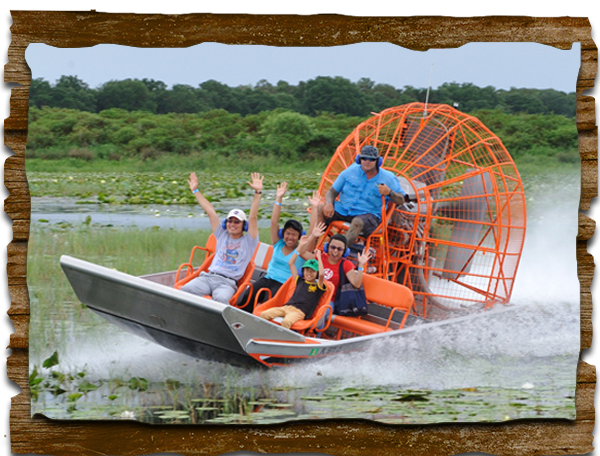 This safe, exciting and educational airboat ride is filled with surprises and fascination. View wildlife on a U.S. Coast Guard Inspected 17 passenger airboat. 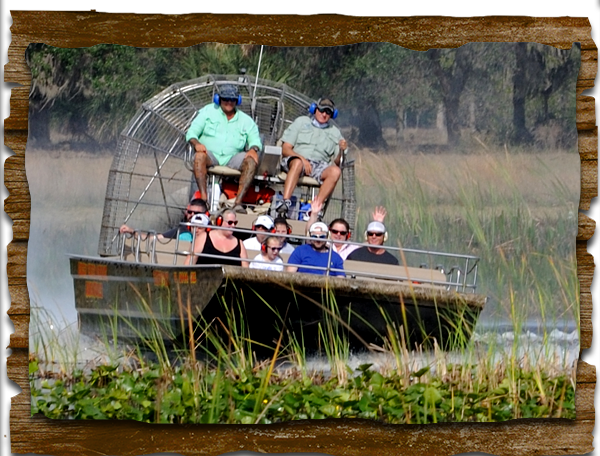 Each airboat tour is a unique experience and never the same. 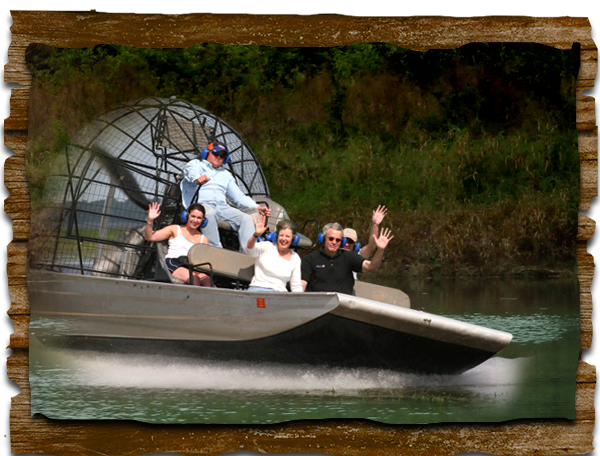 You will enjoy whisking across the water at speeds up to 45 mph while shooting between walls of tall grass. Explore even deeper into Florida’s natural beauty on this ONE hour adventure…. View wildlife on a U.S. Coast Guard Inspected 17 passenger airboat. 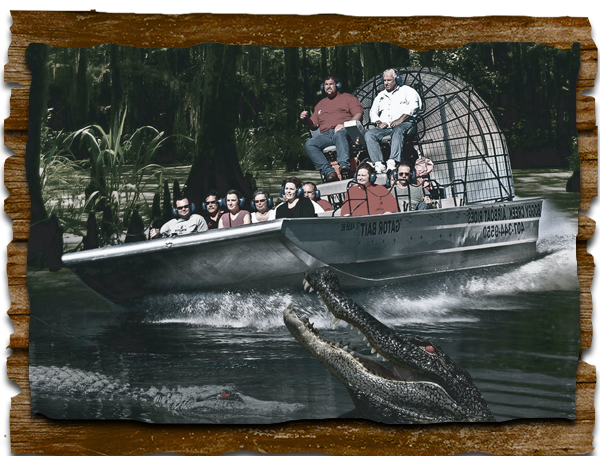 Each airboat tour is a unique experience and never the same. 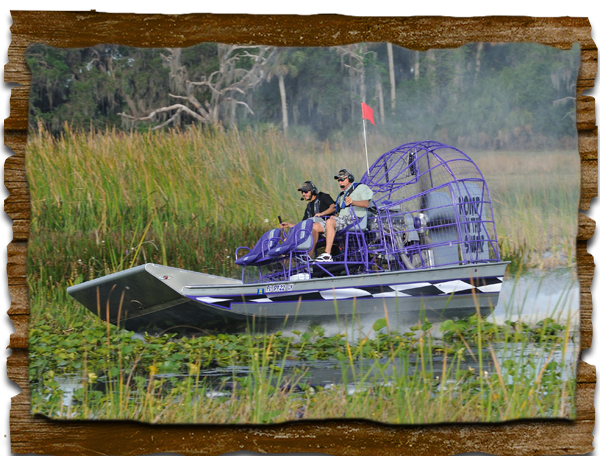 You will enjoy whisking across the water at speeds up to 45 mph while shooting between walls of tall grass. This VIP tour reserves a captain and boat just for your group. You can ask for an adrenaline rush or just a leisurely nature tour. Anything goes on this tour catered to you. (There is a minimum of 4 passengers. If your group is not that large you can pay for 4 seats to reserve the whole boat.) This activity requires a minimum of 4 people or $252. If you have less than 4 please select 4 to be able to book the tour. RIDERS MUST BE 18 YEARS OF AGE. 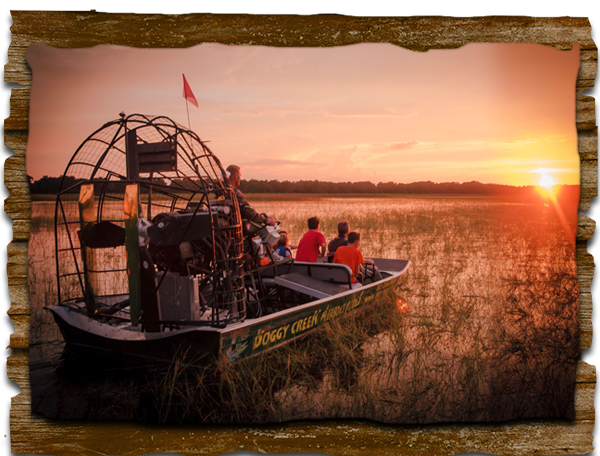 Ride into the sunset on a U.S. Coast Guard approved airboat and see the beautiful view of the sun setting over the lake. You will also have a chance to see wildlife that come out during the day AND at night. This tour has very limited seats so make sure you reserve early!! Glide through the trails of tall grass without knowing what will be found around the next bend. You will be provided with a lifetime of memories as you see the wild come to life all around you. You are guaranteed to come face to face with nature’s nocturnal hunters including the American Alligator. Check- In: You need to arrive 30 minute PRIOR to your scheduled tour.